Riga is a a vibrant city with an impressive nightlife. It attracts young travelers from around Europe and abroad because it is an affordable travel destination with a lot to see and do. There are some great hostels in the city that range from party centered hostels to those that offer a mellow and relaxed atmosphere. If you're traveling alone and hoping to meet others, then a hostel is the perfect place to stay. 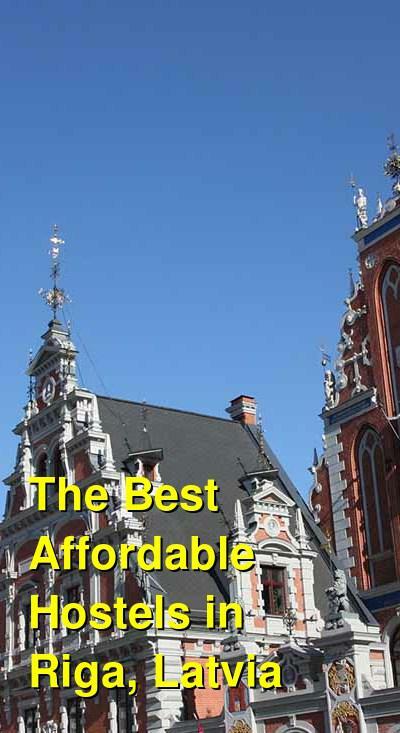 How much do hostels in Riga cost? Naughty Squirrel Backpackers Hostel is a favorite in Riga. It's conveniently located in the city's Old Town, and is just a five minute walk from the Museum of the Occupation of Latvia and St. Peter's Church. It's just a few minutes from the city's main square and is conveniently close to transportation including the bus station and the airport bus. The hostel is ideal for solo travelers who are hoping to meet others. They organize very unique and diverse activities including walking tours of the city, pub crawls, traditional food nights, winter bobsledding, beer tastings, and more. If you're looking to experience a unique side of Latvia, then this is the place for you. The hostel is very clean and comfortable. The atmosphere is welcoming and the staff are helpful. There are a variety of room types available including female only dorms. There are also two common rooms and a full kitchen. Other amenities include wi-fi, lockers, and travel information. Riga's Old Town Hostel is another popular place to stay for solo travelers and small groups alike. It's also located in the city's Old Town and is just a short distance from most of the city's main attractions, restaurants, and bars. This hostel has a social atmosphere with plenty of energy. If you're looking for a good night's sleep, then this is not the place for you. It's a party hostel and it's a great place to meet other young travelers who want to take advantage of Riga's lively nightlife. The hostel has an on-site pub that is popular with locals and travelers alike. 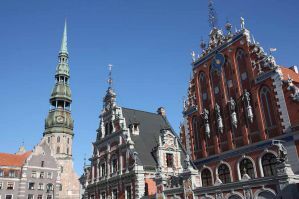 If you want to see an authentic side to Riga, then this is the place to go. The pub is found on the first two floors of the building, and it stays open until late in the night. It can get quite noisy. If you're traveling alone but want to find other travelers to hang out with, then this is the a great option. You want be alone for long, as the hostel is quite popular and never dull. Cinnamon Sally Backpackers Hostel is another social hostel that is great for solo travelers looking to get out and experience Riga's vibrant nightlife. The hostel hosts a variety of events including walking tours and pub crawls. The hostel is conveniently located between Riga's Old Town and the city center. It's a short walk to transportation and is very close to a variety of amenities including restaurants, bars, and supermarkets. The hostel is comfortable with a range of dorm types. Female only dorms are available. The hostel has a large common area and a full kitchen which guests can use. Guests also have access to lockers and wi-fi. The staff at the hostel is knowledgeable on the area and very helpful. All kinds of information and organized activities are available to guests. Central Hostel Riga is another popular option in the city. It's a smaller hostel with a comfortable setting. The rooms are large and bright and the hostel is perfect for all types of travelers including independent travelers, couples, and small groups. The hostel is in a quiet part of the city in the middle of town. It's a five minute walk from the Central Train Station and is ten minutes from Old Town. The hostel has a shared kitchen, a common room, and a book exchange. The hostel is very close to a variety of amenities including restaurants and bars. There's even a small grocery store on the first floor of the building. Other amenities offered by the hostel including free wi-fi, laundry facilities and bike rentals. If you're traveling alone and want a social setting that's not the extreme party scene found at many hostels, then this is the place for you.